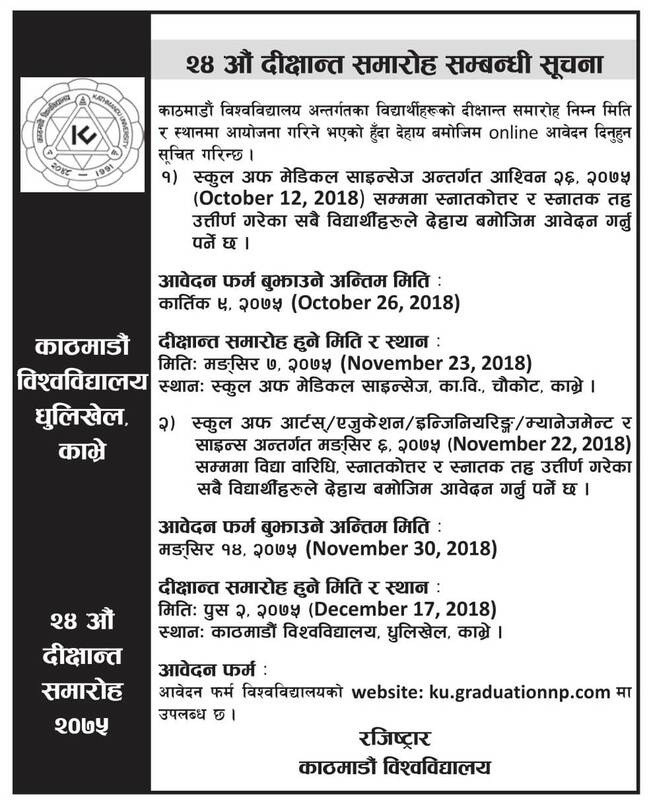 Kathmandu University has called application from its graduates to participate on its 24th Convocation Ceremony. Place to submit application form: Administration office of School. Students of affiliated college can submit their application in their college.